What did I do wrong to give my child Down syndrome? If you are wondering what you did wrong to cause your child to have Down syndrome I want to be upfront about these three things. 1. You did not cause your child to have Down syndrome. Trisomy 21 is about as random as anything can be. There is a type of Down syndrome that is genetic but that accounts for only 1% of all instances and it was not the result of anything the parent did or did not do. 2. 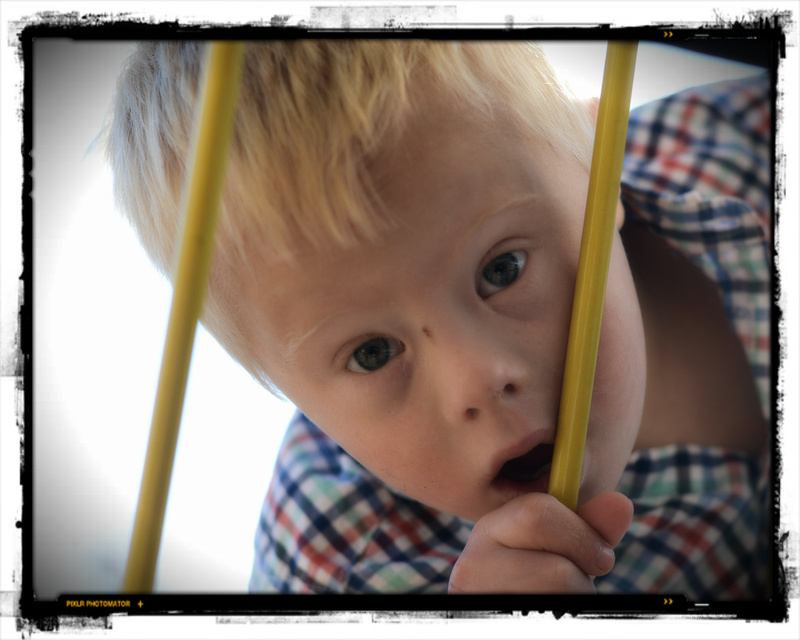 It is shocking to find out your child has Down syndrome. It is normal to have all types of feelings, it does take some time to get used to the idea. 3. Down syndrome is not what you think it is. Your child’s future is an open book just like it would be without Down syndrome; the disability is a challenge not a tragedy. Have you ever jumped into a swimming pool to find out it is a lot colder than you expected? It’s a shock to your system, it may even feel like it’s hard to breath at first. But then, you gradually adjust to the water temperature and that initial shock fades away. That whole process happens more quickly for me than it does my wife. Every analogy has its limits but finding out that your child has Down syndrome can be a shock to your system. No one plans on it. Instead of needing to catch your breath a person may find themselves asking “why?” or trying to assign blame and cause. If that is you, I understand and you are not alone. But trust me, the shock you are feeling now will fade and you will eventually see how you can enjoy this new reality no matter how unexpected it is. I have long been aware of the many myths that persist about people who have Down syndrome. These myths are the basis for the stereotypes that continue to restrain those with the disability. As I said in my review of the book The Shape of the Eye, I believe John Langdon Down is a big part of the reason for this narrow view. However, I was not aware of how many myths existed about the causes of Trisomy 21. Recently I was asked if immunizations could be a cause for the disability. The answer is no. Keep in mind that I am not a doctor or scientist and rely on those professions for my information but there is nothing a person can or cannot do to cause Down syndrome. I can only imagine the pain a person must be feeling when they go to their internet search engine and type, “Did something I do cause my child to have Down syndrome?” Imagine feeling like there was something you did to cause your child to have what you perceive as a terrible disability? If that is you please understand that you cannot cause Down syndrome. It is random. It can happen to anyone. Yes, there is a connection to age, however, the majority of babies born with Down syndrome are born to young mothers. Down syndrome has been present in all cultures over the span of time and continues at a rate of 1 in every 691 babies born in the United States. There are some good resources available if you want to learn more about the disability. The National Down Syndrome Society is one source and the Down Syndrome Research Foundation is another source to check. These sites will tell you about the three different types of Down syndrome, about some of the health issues common to individuals with the diagnosis, as well as help you understand some of the things you can do to help your child. There is a lot of information available, it may seem overwhelming at times. You don’t need to learn everything at once, many people feel like they have a thirst for more and more information about Down syndrome but you have time. You need to remember to enjoy your gift from God. Knowledge is good but holding that little baby and feeling the warmth as you smell the top of its head is better! Getting used to the water temperature. New parents to children with Down syndrome may feel overcome by alternating waves of despair and hopelessness – I feel your pain. BUT, you need to know there is hope and that what you are feeling is more the shock of something unexpected and that just like jumping into a cold pool, you will get used to the water. I have already said this but the thought merits a little redundancy. The one thing I want to encourage you to do is to enjoy your child. A baby is a baby no matter what. Each one eats, sleeps, and poops. They need to feel your love and you need to experience the joy they bring. Don’t try to think too far ahead because soon enough you will learn that your child has a bright future ahead. Down syndrome is not what you thought it was, I know I was wrong about it. There are a ton of resources available today to help individuals with cognitive disabilities learn and develop. We all go through a period of transition after receiving the diagnosis. It is a process that looks differently for each of us and it is something we all take at different speeds. It may add some stress to your marriage as well; do your best to be patient with each other. After doing a little research most of us begin to see that Down syndrome is random and can happen in any family. We see that it is not something we did but simply something that happened. But even those of us that understand the unlimited potential of person with Down syndrome may still be wondering, “Why?” I am talking about the big WHY question as in “Why did God allow this?” I don’t know what that answer is for you. If someone tells you that God gave you a child with Down syndrome because you could handle it or because you are a special person feel free to slap them. The answer is not going to be that neat and clean. It is something only you will be able to determine for yourself, and you will eventually. Well now you’re supporting violence? I’m shocked, just shocked. Great post. Yes, I guess I am! If I had a nickel for every well intentioned person that fed me some stupid Christian cliche I would have a lot change in pockets. I would probably have to resort to suspenders or something. Life is a lot more complicated than these suggestions Sunday school answers allow for. I could go on and on about this. Anyway, I am glad you liked the post. Thanks Rob. 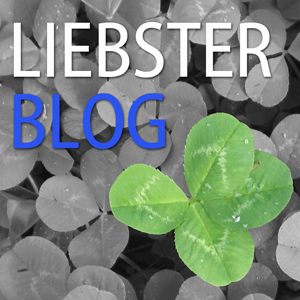 If only I could have found these blogs when we first were processing the news. I hope and pray that people who search google after hearing the news, runs across this blog. The myths. They are just ugly. My favorite, or maybe I should say worst, was the one you referenced about God. I did some research after I kept hearing people mention this to me and my wife. It truly pissed me off. Thank you Mother Teresa. She is a saint, but she got that one wrong. “God won’t give you more than you can handle.” Now I tell them, “That is not biblical or God. You want to bet he will give you more than you can handle. Look at the world around you.” I could go on about this as well, but I will resist. Thank you for the post. And if you are reading this, I confirm everything Rob said from my own experience as a dad to a special Down syndrome girl. Thank you for taking the time to share your thoughts. It was a nice surprise this morning when I saw your comment, I don’t pretend to have all the answers but hope that by writing I can help others work through their own journey and understand they are not alone. As I continue to grow as a person and understand more about what it means to be a father to a child with Down syndrome my concern for other parents increases. First and foremost I want people to see that having a child with Down syndrome is not a curse or tragedy. However, it is a different path than expected. As a result I wish friends and family members would learn to resist the urge to fill the silence with meaningless “niceties,” comments that seem like they are meant to help the person hearing it but in reality are more about the person talking.